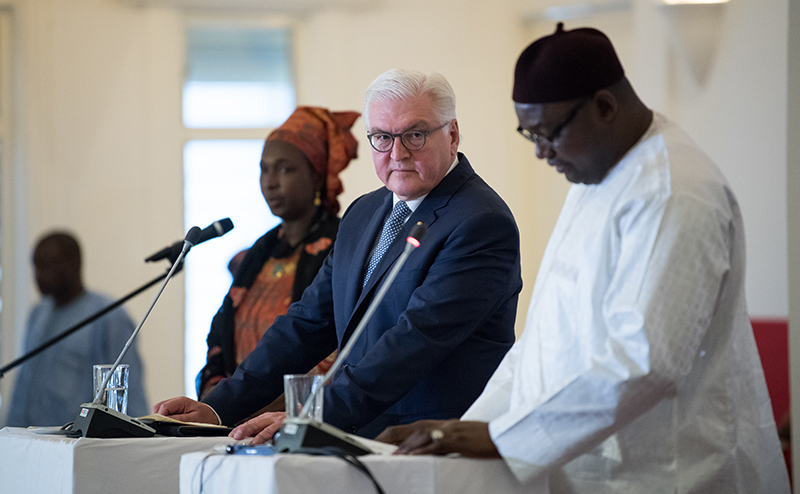 Media reports that German President Frank-Walter Steinmeier has signed an agreement with Gambian President Adama Barrow for 1,500 Gambians to be returned from Germany to The Gambia are not true. Both the German Foreign Office and the President’s Office confirmed that there is no such treaty. Also, Gambian information minister Demba Jawo also clarified that The Gambia signed no agreement to accept Gambian returnees. German President Frank-Walter Steinmeier has been Europe’s first head of state to visit The Gambia after the Gambian elections. 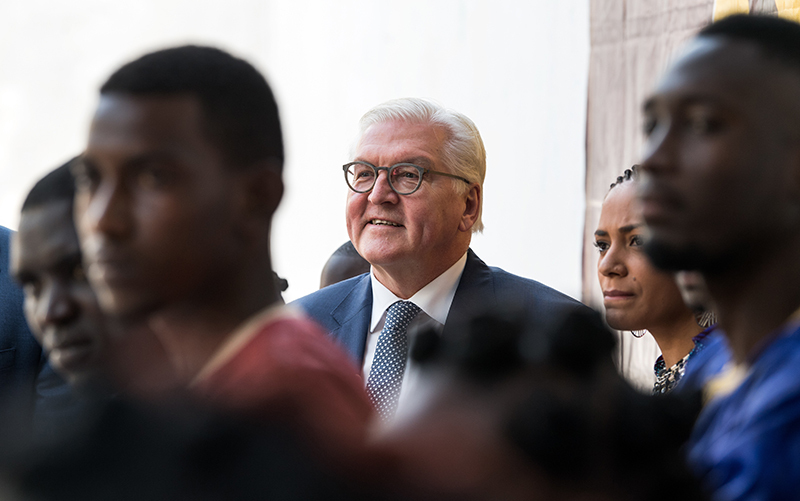 Visiting on December, 13 and 14, Steinmeier has expressed Germany’s recognition of democratic change and has shown political assistance for stabilisation. The German president did not sign any repatriation or deportation agreement with Adama Barrow. The news in various social media platforms about the signing of such an agreement is false. Instead, the two presidents talked about economic rebuilding and political reconciliation. The topic of refugees and migration was also on the agenda. Visiting the Gambia Technical Training Institute, one of the biggest education centres of the country, the president met with refugees who had returned home recently. The returnees told listeners about the great dangers they faced on the way to Europe and expressed their hope for better education and vocational training in their homeland. President Barrow talked about his own experiences in Europe and encouraged young people to stay in The Gambia and engage in the process of rebuilding the country. Mass repatriations from Germany to The Gambia have neither been discussed nor agreed upon. In 2017, Germany has returned some rejected asylum seekers to the Gambia, all of them out of the German state of Baden-Württemberg. This is also where protests against the alleged repatriation agreement first sparked in Germany. Considering the facts, though, there was a grave misunderstanding. No general deportation agreement was signed between the two states. For the Gambia applies the same as for the other countries of origin of migrants and refugees in Germany. Germany grants migrants who have suffered or are likely to suffer persecution or serious harm protection and thus the right to stay while rejected asylum seekers have no choice but returning to their country of origin.